I’m sick with coupons. I know. But this is just CRAZY. Why wouldn’t you spend a little time each week to save big on your grocery bills? 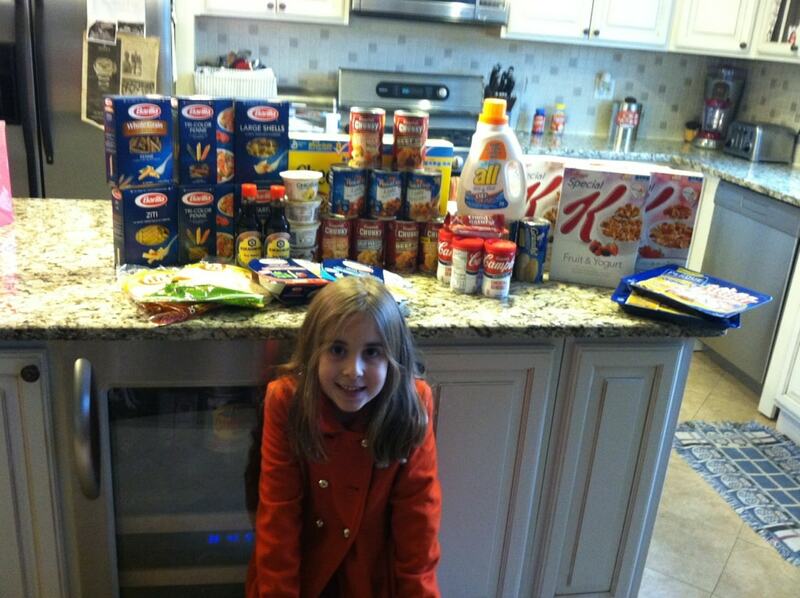 This week at King Kullen, I had to split the order out into 2 because I had a TON of $1 coupons. 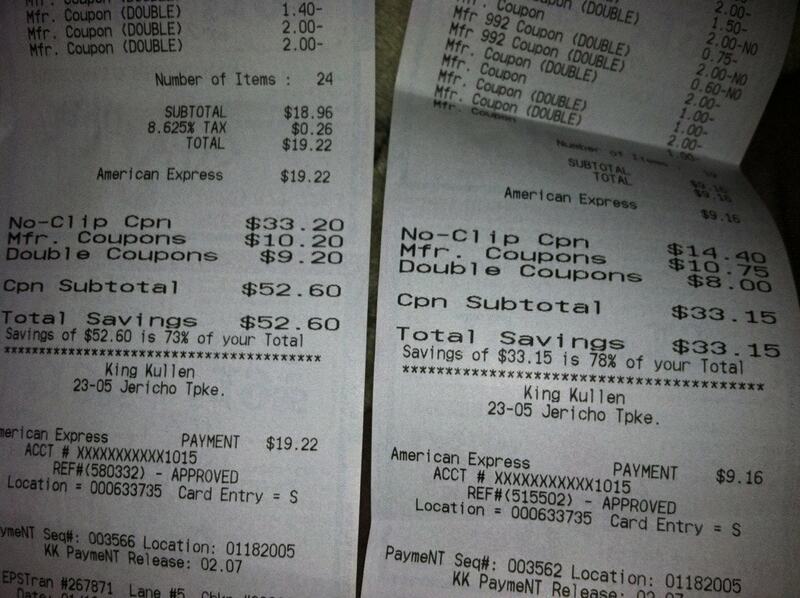 King Kullen only lets you double 5 ($1) coupons at a time. So, Bill just had to separate the order prior to checking out. I, of course, did this for him at home. He just had to hand the envelope to the cashier with the right transaction number on the front. Here is how I did it. Besides using newspaper coupons, I used online coupons suggested by Living Rich with Coupons. All of this for $29!!!!!!!!!!!!!!!!!!! I told Bill this literally gets me through the week – the excitement of the score. A little pathetic I know… but it’s true. And as you can see… I don’t buy junk. I don’t care how much those chocolate bars and hard candy bags are. I’m not buying them! 🙂 We will eat every single thing that Bill brought home. Good job! Do you miss being able to go shopping, Vera?